Located in Roanoke, VA, we are your local, comprehensive dental solution for the entire family. Our team takes pride in delivering personalized and friendly dental treatment for the whole family. Dr. Rhodes and his team are equipped to handle almost all of the dental services you and your family may need. We are conveniently located in Roanoke, VA, and offer our services to the surrounding areas of North Roanoke, Roanoke County, Salem, Botetourt County, Hollins and Vinton. We are a small, family owned dental practice and we make sure our patients get quality one-on-one attention from everyone in our office. We handle most dental procedures including routine cleanings for children and adults, single implants, bone grafting, ridge augmentation, and implant supported dentures in our own office without the need to refer to a specialist. This saves our patients time, money and the hassle of visiting numerous doctors for treatment. North Roanoke Dental Associates strives every day to provide the highest quality dental health care possible, while treating our patients as if they were one of our own family members. We value our patient’s overall health as well as their oral health and provide patients with an honest and valuable treatment plan catered to your desires and needs that works within your schedule and budget. Keeping your comfort in mind, we offer all our services in updated treatment rooms where you may enjoy blankets, stereo headphones and other luxuries that ensure you’re relaxed and calm. Whatever your dental needs, come visit us for the kind of quality, convenient care that means healthy teeth and gums and beautiful smiles! Dental implants bring the ultimate solution for missing teeth. Dr. Rhodes and his team bring their expertise to direct your implant case at every stage. Dental health moves through many stages. Dr. Rhodes in Roanoke, VA offers a range of preventive, cosmetic, & functional care for every age. 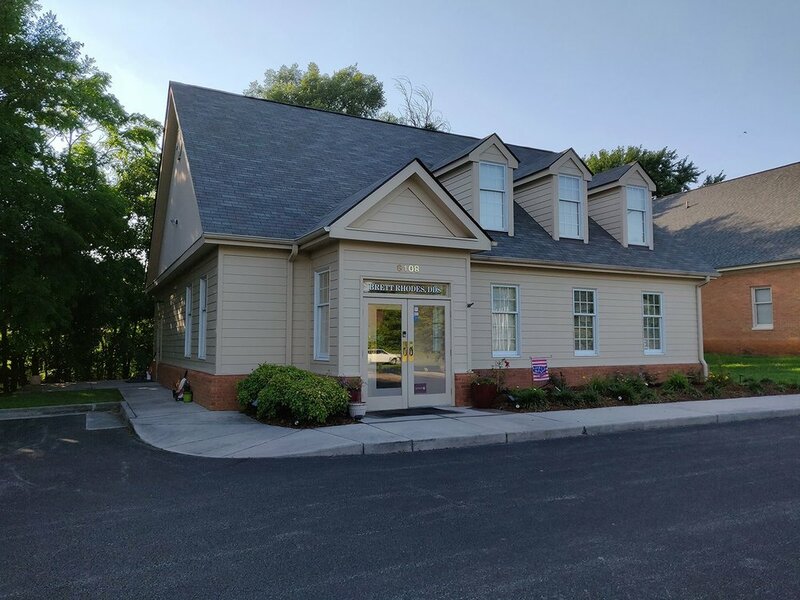 Dr. Rhodes at North Roanoke Dental Associates, P.C. offers cosmetic dentistry options that perfect your smile & restore your confidence. 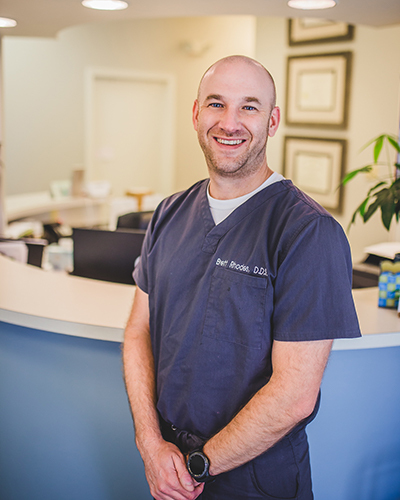 Dr. Brett Rhodes earned his bachelor’s degree in microbiology and his master’s degree in biological sciences from Auburn University in Auburn, Alabama. After four years serving youth as collegiate campus minister, he relocated to Virginia and earned his Doctor in Dental Surgery (D.D.S) from Virginia Commonwealth University (MCV).